Outwardly it has the design sensibilities of something decades older, like a cigarette machine from 1960. The front had rows of illuminated buttons where you would choose your starting and ending zones from a large printed list. You would then press flashing “peak” or “off peak” buttons. I believe there was a very rudimentary monochrome two line LCD display as well. The unit accepted paper money, though many times with hesitation. Change was given in dollar coins. 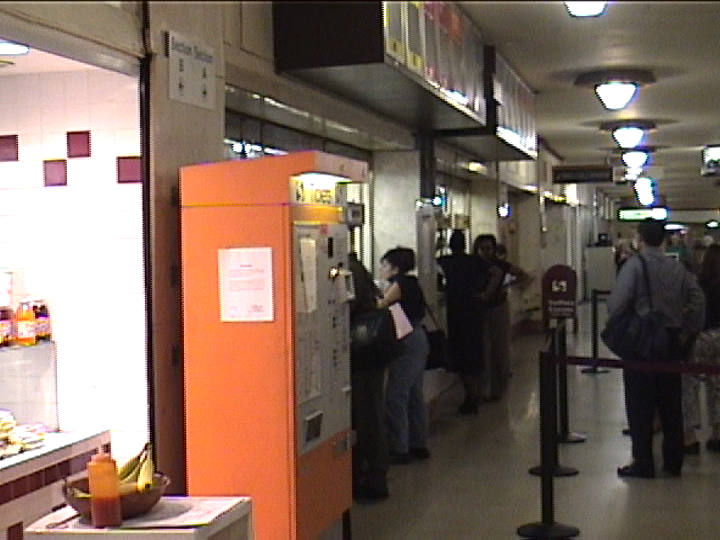 Tickets were printed on the standard size stub, but had a distinctive dot matrix look to them making it very obvious your ticket originated from one of these machines. I’m very hopeful that the new electronic fare system has all the conveniences of the old one along with the modern technology we take for granted today.